I was hoping after my move everything would calm down. That didn't really happen. My car got run into while it was parked by a moving truck rental Friday night. Thankfully, the damage is only to the back bumper cover, so the actual car is fine. I wasn't in the car either which is good too! I came down with a cold on Saturday night. Our cable box is defective and needs to be replaced. Clearly, none of these things are major at all, and things could of been much worse! It's just I was hoping for a breather after preparing and unpacking after this move, but life happens! I'll manage. I have one of the spring Avant Garden China Glaze polishes to show you today. I really liked this collection by China Glaze. I must admit China Glaze in the past hasn't impressed me with their collections, but I am fond of this one. Fancy Pants is a blurple with a pink shimmer. Color: This is a great color. This is perfectly in between a blue and a purple. The color is pigmented and the pink shimmer is a nice unexpected touch. Formula: The formula on this was great! This applied easily and evenly. No problems at all. Price: I purchased this at Sally Beauty Supply. I don't remember the exact price, but I think it was between $6-$7. Overall: I think this polish would be a great addition to a polish collection. I love how it's not a typical spring color, but it's bright, pigmented, and the sparkle adds a very special touch. I really like this one, and I think many of you will too. That stinks about your car. This polish was probably my favorite from this collection. Love it! ooh i like that one. super pretty! I love this colour! And your swatches are super accurate too, I tried to swatch this one and gave up in frustration because it kept looking off. This is a BEAUTIFUL colour! Such a gorgeous polish!!!!! Hope things calm down for you soon. gorgeous blurple. I hope things calm down for you so you can enjoy your new place. 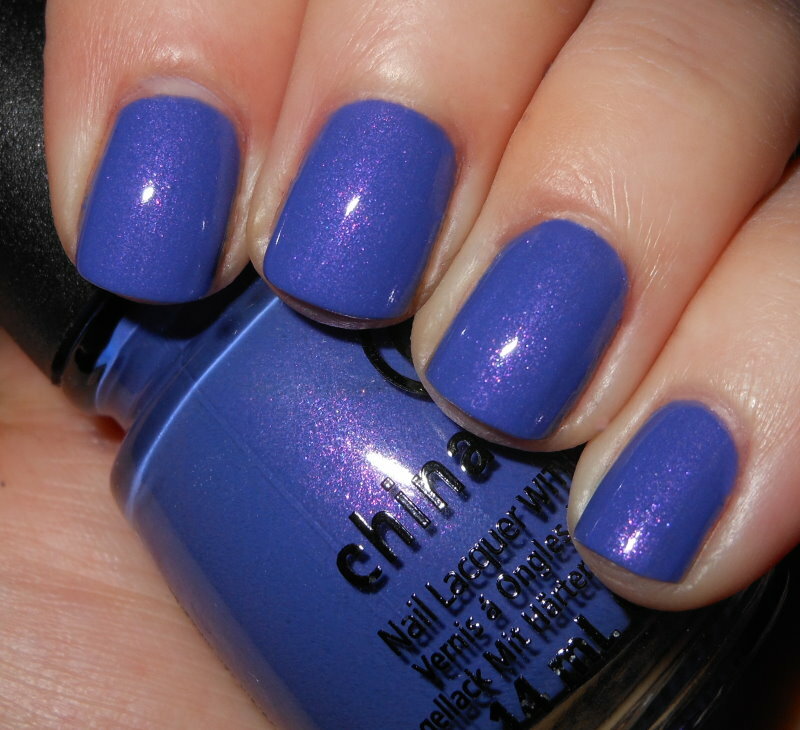 Gorgeous color, will be going on my "want" list!! nice color! I hope that things work out better for you next week (or should I say this week, since I'm commenting on Memorial Day!)! GOR-GEOUS. Perfect, really! I loooooved wearing this one too.